This weekend is the 45th annual Cherokee Triangle Art Fair, organized by the Cherokee Triangle Association, which started in 1972. This event, always the week before derby, will be held from April 30, 2016 at 10:00 am through May 1, 2016. Cherokee Triangle is the neighborhood along Cherokee Parkway between Willow Avenue and Cherokee Road. The fair begins with a Children's Parade at 10:00 am on April 30. Dozens of artists come back year after year and many new artists not only from Louisville and Kentucky, but also all around the country, come to fill the over 200 booths. Art is available for sale and the patrons often have an opportunity to meet the artists themselves. Art is not the only offering available for the weekend. Fairgoers can purchase food and drink. For children, there is an activity area, offering a variety of events to entertain children. A plant boot includes an assortment of lush plants and herbs. Live music is also provided. On Saturday, is a mixture of classic rock, in the early afternoon, and high-energy, dance music up to 8:00 pm. On Sunday, bluegrass music begins the afternoon before giving way to swing music to close out the fair. The Cherokee Triangle Art Fair is the major fundraiser for the Cherokee Triangle Association. The proceeds are used, in numerous, ways for the community and neighborhood; including the annual, free, summer concerts. Cherokee Triangle, named a Historic Preservation District in 1972, is a neighborhood located two miles from downtown Louisville and is within walking distance of Bardstown Road which offers many other diverse activities: coffee shops, restaurants, movie theaters, boutiques, and antique stores. Travel away from Bardstown Road and you will enter Cherokee Park which allows bike riding, walking, sledding and picnics. Trees, some over 100 years old, line the streets providing shade and beauty. There is a diverse array of architecture that includes Italianate, Second Empire, Queen Anne, Richardsonian, Romanesque, Neoclassical, Tudor Revival, and Beaux Arts. Bring your kids for fun activities, music, and find unique pieces of art in a friendly outdoor atmosphere while also supporting the Cherokee Triangle Association. Thunder Over Louisville is Saturday April 23,2016. This event kicks off Kentucky Derby Festival and brings hundreds of thousands of people to downtown Louisville for the air show and the nation's largest fireworks display. For people that don't want to deal with the crowds and traffic snarls that go with them, you can enjoy The Bard's Town, located in the Highlands, at 1801 Bardstown Rd. The Bard's Town has an evening full of events scheduled for April 23, 2016. At 6:00 pm and again at 8:00 pm, live music is performed by Brazukas, the Band from Brazil, presenting An Evening in Brazil. Brazukas is a quartet from different regions of Brazil and is formed by current and form students of U of L's jazz program. They perform both traditional and modern Brazilian music. At 7:30, the play "Stupid F@cking Bird is being performed. This play, written by Aaron Posner, and won the Charles MacArthur Award for Outstanding New Play or Musical. The play is a contemporary, comedic reinterpretation of Anton Chekhov’s The Seagull. Stupid F@cking Bird stages battles between young and old, and the past and the present. End your evening with Karaoke from 10:00 pm - 2:00 am. Karaoke is presented by Groucho from Groucho's Bar. The Bard's Town not only has the lounge, where the jazz music will be featured, and the theater itself, but also offers a restaurant with a full menu. The venue was started to promote local artists and playwrights. In fact, the cooks and servers are asked to be creative and have passion in the theater, music, and art. When The Bard's Town opened, there was no venue for live theater. Avoid the inevitable crowds that will be found in downtown Louisville on April 23, 2016 and enjoy an evening of jazz, theater, and nonprofessional singers by going to The Bard's Town. Tickets for Brazukas are $12.00 and can be purchased here. Advanced tickets, for the play are $16.00, for adults ($15.00 for seniors 65 and older and $14.00 for students) and can be purchased here. At the door, tickets are $18.00, $17.00, and $16.00. 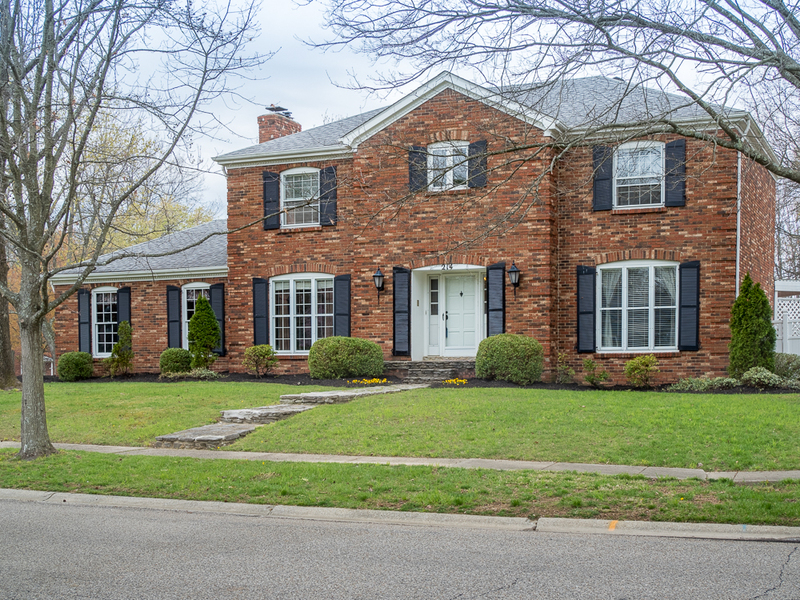 Spectacular 4 bed/3 bath home in Seneca Gardens! This beautiful stone home features many upgrades including hardwood floors on 1st floor, new hardwood floors on 2nd floor, all new kitchen with granite counter tops, new huge island with breakfast bar, stainless steel appliances & tile back splash, extensive landscaping & irrigation system($25,000), new interior paint, new vent-free gas fireplace insert, newer dimensional shingle roof, 2 newer HVAC systems for excellent utility bills, newer PVC plumbing & the kitchen was opened up to the living room great for entertaining! 1st floor also includes formal dining room, bedroom, beautifully upgraded bath & conveniently located large laundry room. 2nd floor master is fit for royalty! Huge custom bath with walk-in shower, soaking tub & dual sink vanity. Master also includes a ginormous walk-in closet with organizational features, a decorative fireplace and private covered balcony. There is also another bedroom, office and a bonus room at the top of the front staircase perfect as a children's study, play area or sitting room. There is also a back staircase for late night Kitchen Raids! Along with the extensive landscaping added, there is also a covered deck with ceiling fan off the kitchen/living room (also great for entertaining!) and an added deck in the backyard off the back patio. A few other features include a full basement that has been waterproofed by a prior owner, new blinds in all windows, new shutters on right side windows, newly painted foundation, newly cleaned air ducts, a security system, new interior basement door, a 2 car garage and a new drain was added from the downspout on the side of the house by the driveway to prevent an ice patch in the winter. This home is a must see! 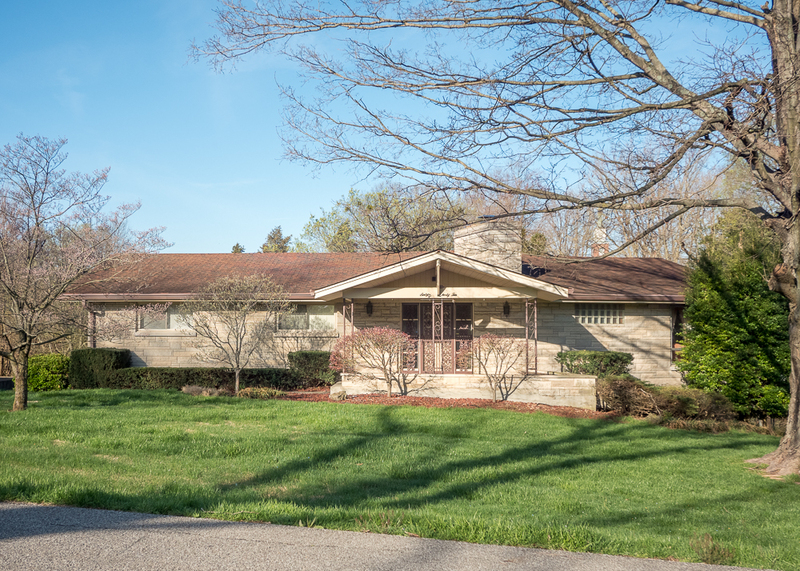 First showing is Sunday, April 17th at the Open House from 2-4 pm. The Jewish Community Center of Louisville's CenterStage is currently offering a musical specifically for children between Kindergarten and 5th grade. CenterStage has a program called Acting Out, which is a children's theater group that travels to schools and community centers. The programs are approximately 60 minutes in length and the full production (actors, costumes, props, and audio) is provided. Thirty days prior to the performance, suggested activities and study guides are provided and after the show, the actors open a discussion with the children. For the schools, the program helps in Arts and Humanities while meeting Common Core Standards. While the program typically travels to schools and community centers, public performances are also available. The show currently offered is "The Three Little Wolves and the Big Bad Pig." and the public performances are being offered on April 17, 2016 and May 15, 2016, both at 2:00 pm. The musical is based on the book of the same name and is a modern take on the classic Three Little Pigs fable. CenterStage is located at the Jewish Community Center at 3600 Dutchmans Ln and performs six or seven Broadway productions each year. Tickets, found at CenterStage's website, for "The Three Little Wolves and the Big Bad Pig" are $18.00 for adults and $12.00 for children 10 and under. The show is a way to introduce your children to musical theater, so as they grow, they will enjoy live theater productions. 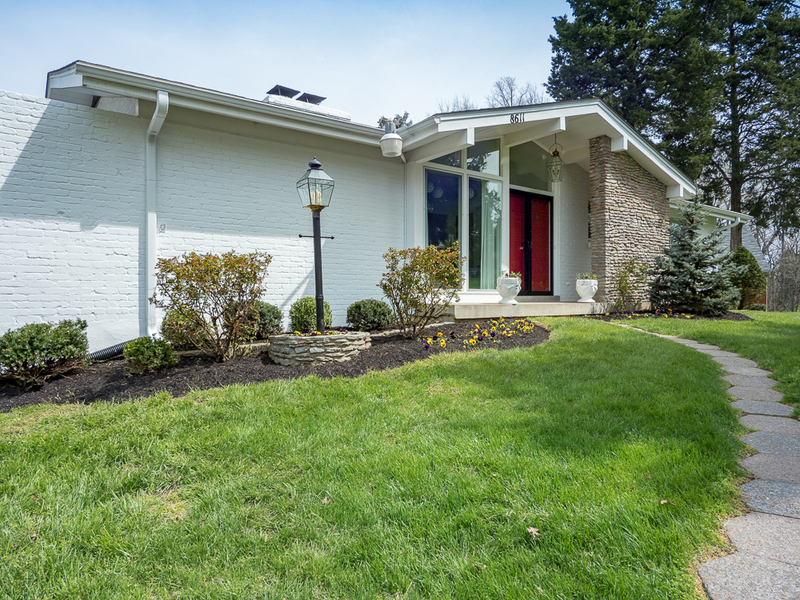 We sold 2194 Millvale Rd, Louisville, KY 40205 in the Highlands this past weekend. Only 2 days on the market, listed for $559,000. Contact us about selling your home! 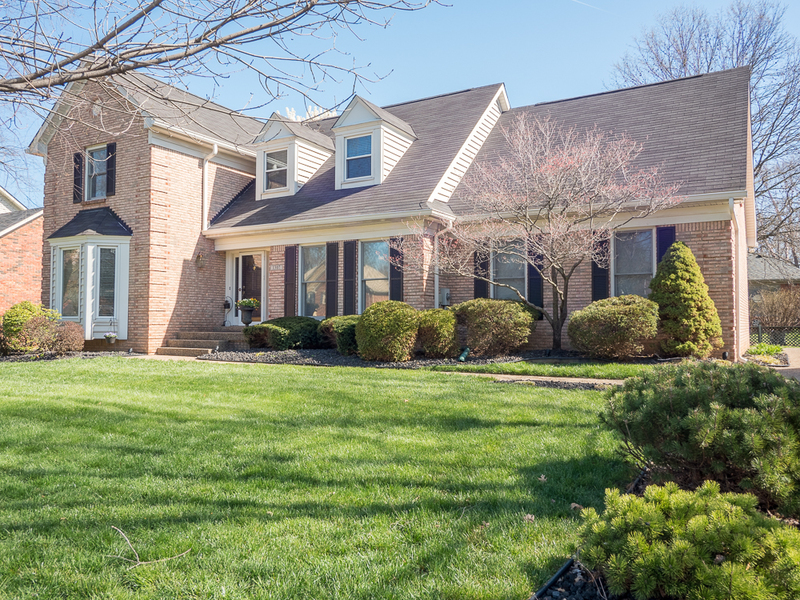 Fantastic 2 story center-hall colonial located near Cherokee Park! The circle drive welcomes you to the large front porch. Inside there is an abundance of entertaining space on the first floor with a large formal living room with fireplace; roomy formal dining room; office/den with fireplace and french door to the rear patio; private powder room with marble flooring; big light filled family room with gorgeous fireplace, built-in cabinets, french doors to the patio; beautiful renovated kitchen with white cabinetry, granite counters, gas range, french style refrigerator; handy breakfast room for casual dining; big sunroom with amazing views of the rear landscaping/stream and Koi pond. Upstairs is a private master suite complete with a private bath; 2 additional guest rooms, hall bath and convenient laundry. The partially finished basement is a family room with recent carpet and built in cabinets, wet bar, and 2 very large storage areas. The attic is partially floored, well insulated, and has a full walk up staircase offering possible expansion possibilities. 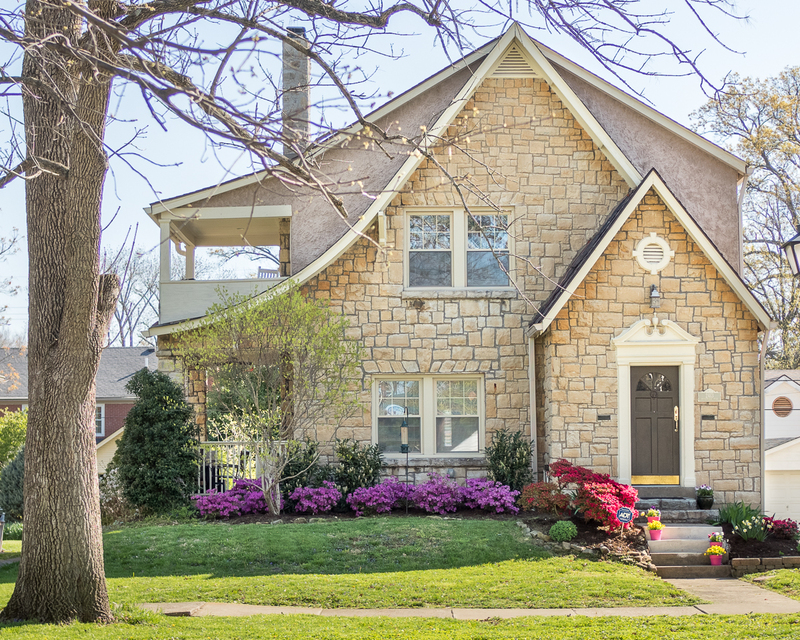 Additional features include: Dual HVAC systems; replacement windows throughout the home; gorgeous hardwood floors and moldings; large 2 car attached garage with storage; extensive landscaping with lighting; large brick patio, beautiful front lawn/setting, fenced rear yard. This well cared for home is in MOVE IN condition!! 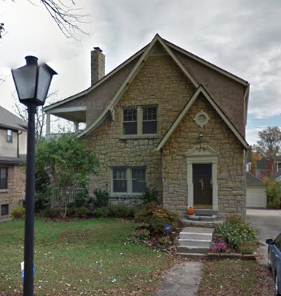 8611 Ivinell Av, Louisville, KY 40291 - Sold! Welcome to this lovely 3 bed/2.5 full bath home on quiet cul-de-sac. Charming, private, well-maintained & features lots of natural light & hardwood floors throughout 1st floor. Living room has a fireplace & is open to the dining room. The eat in kitchen has stainless steel appliances, a pantry & updated cabinets. 1st floor also includes the master bedroom with attached bath, 2nd bedroom with 2 closets & full bath with dual sink vanity. The walkout basement has family room with sliding glass doors to the sun/screened in patio & another door to the open patio. There is also a bedroom, full bath, laundry room with lots of storage & bonus room which leads to the 2-car garage. Home is on a 1/2 acre lot with a fenced backyard & porch. So much outdoor space, including privacy & tree-lined street!